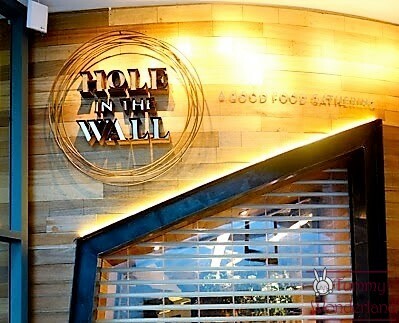 Hole in the wall is an upscale 500-seat food hall located in Century City Mall. 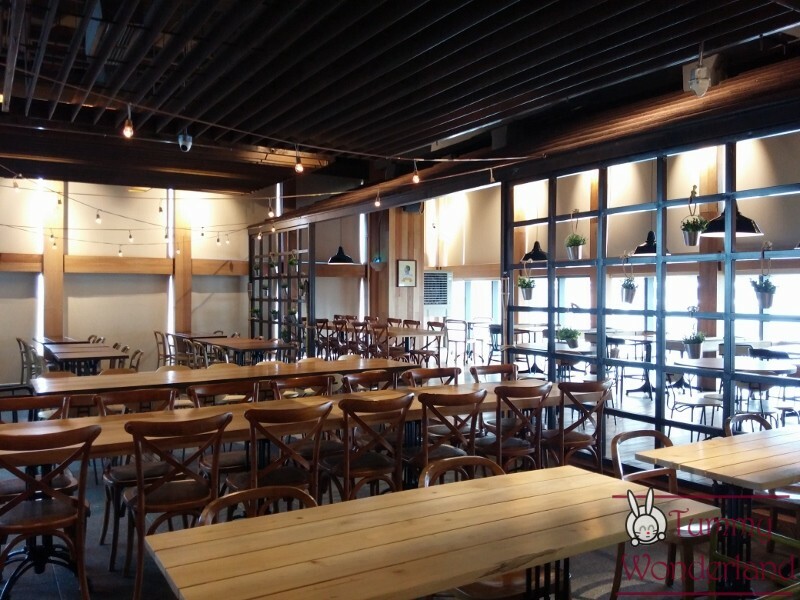 With over 12 stalls to choose from, the place is best for gatherings of friends and family. 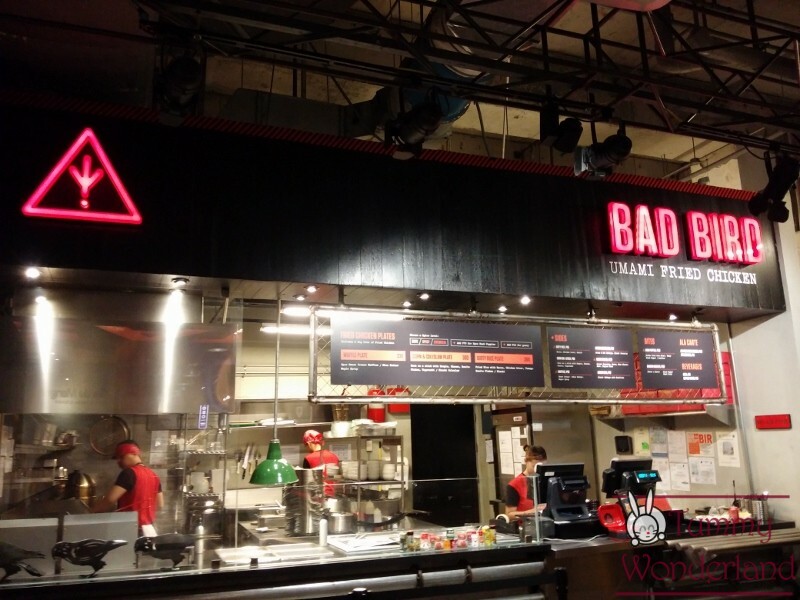 The place is very tempting to call it a high end food court because of the varieties of food choices. 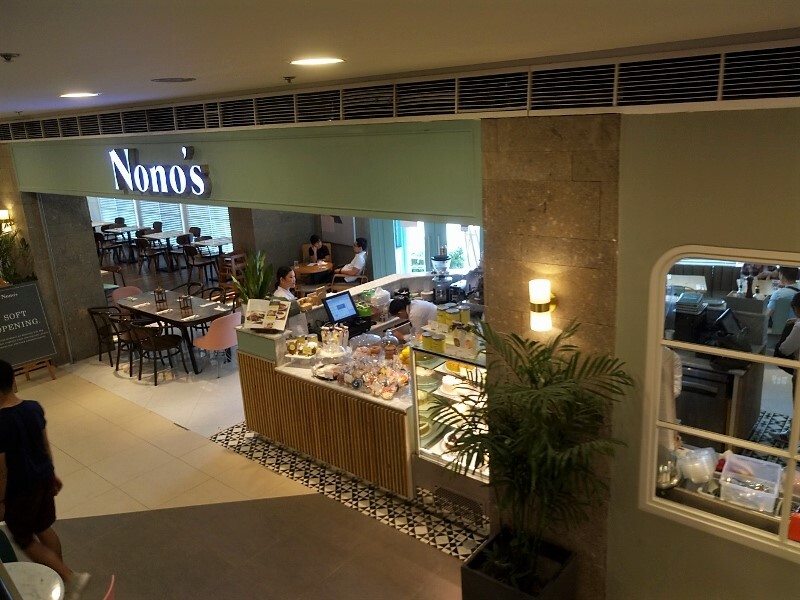 But this isn’t your usual food court here in Manila. 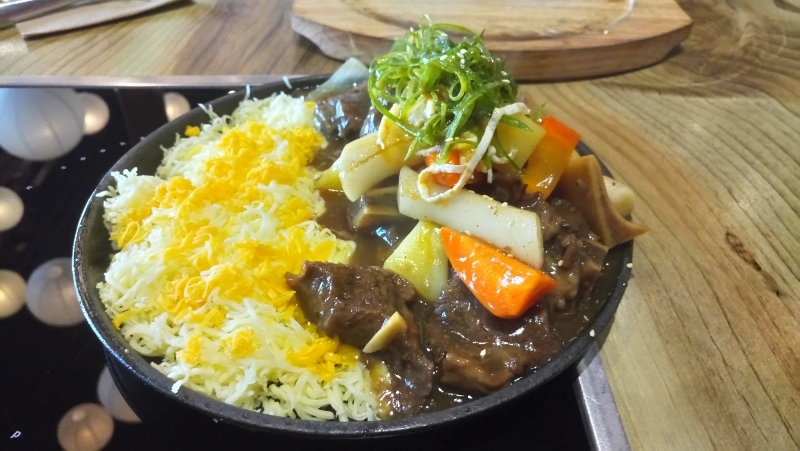 The restaurants are very unique and interesting. 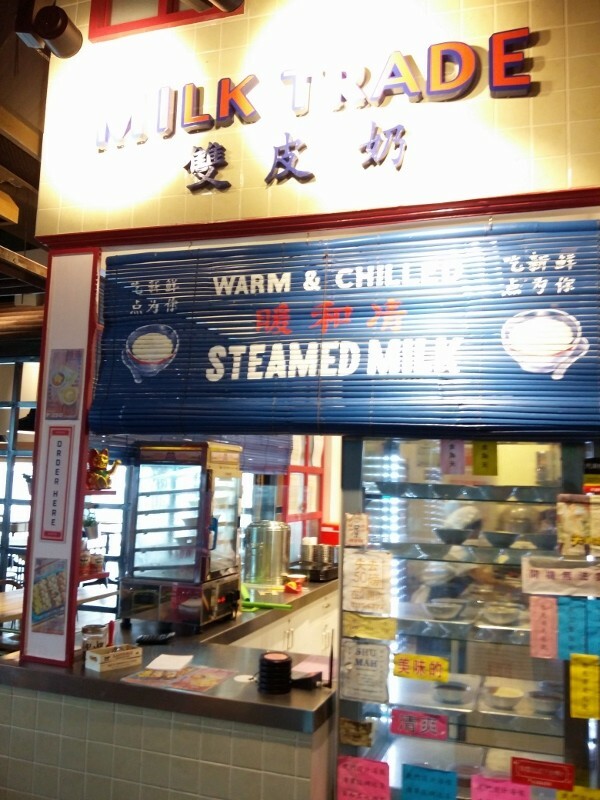 The ambiance is very fancy and relaxing, somewhat similar to the food halls in other countries. 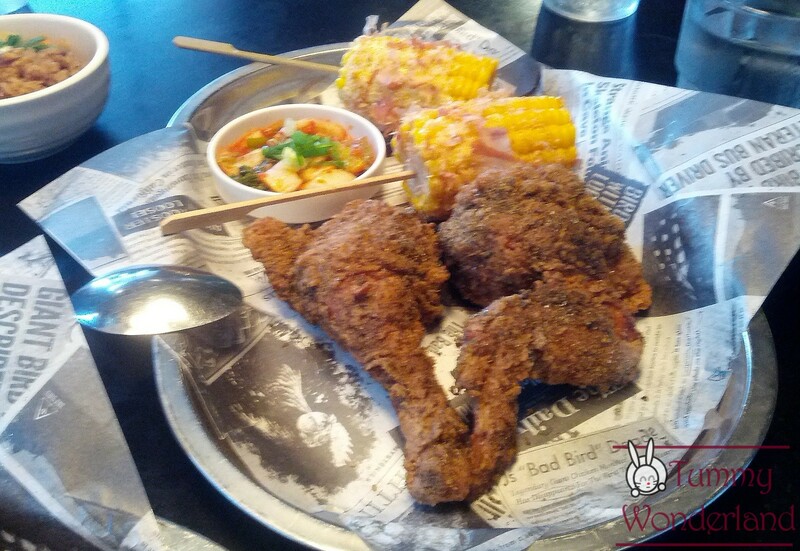 Famous for their umami fried chicken. 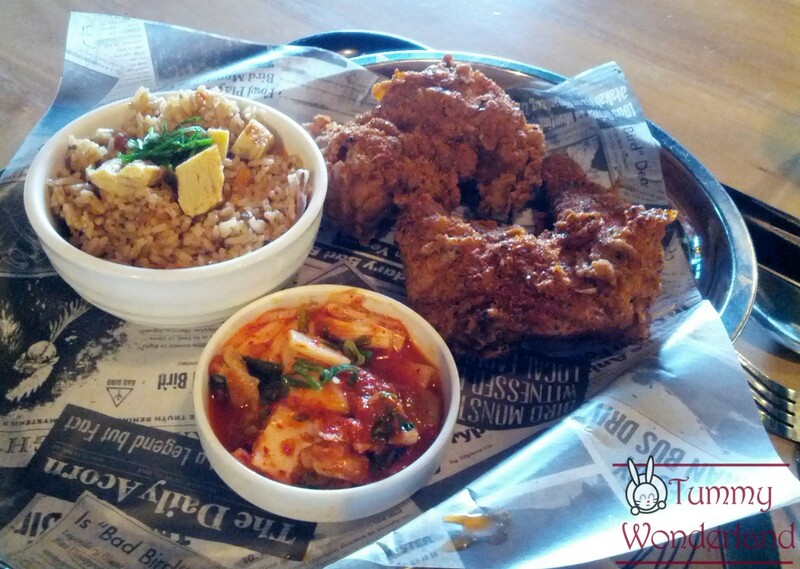 The chicken is huge, bursting with different spices. 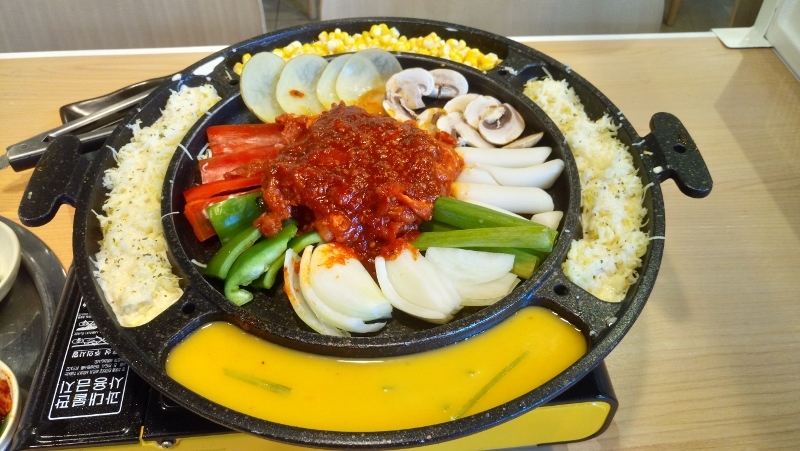 They have 3 spice level to choose from: Safe, Spicy and Chemical for the spicy lovers. 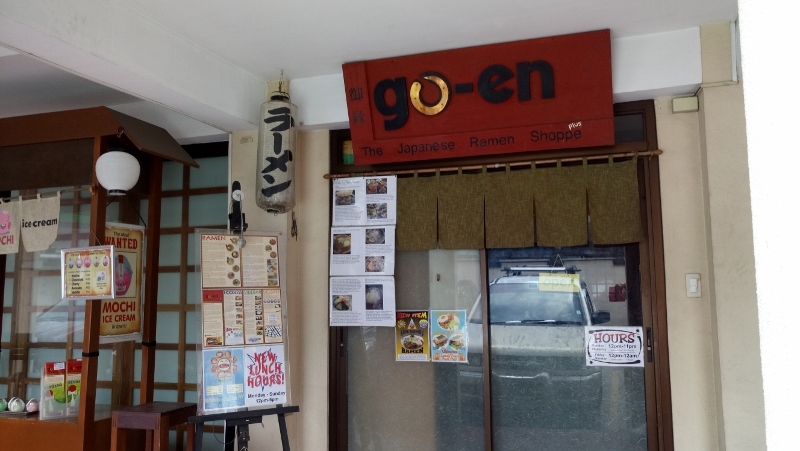 Their side dishes are a fusion of different cuisine, mainly Japanese and Korean with kimchi coleslaw, corn with bonito flakes, sweet potato waffle, hush puppies and dirty rice plate to choose from. 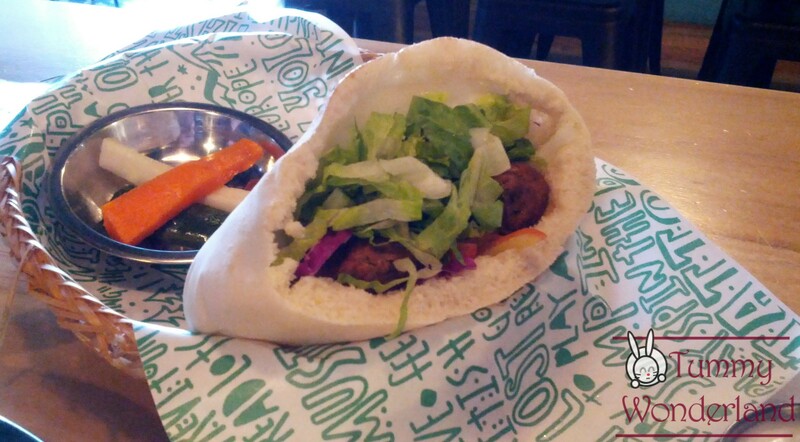 Serves Mediterranean food that specializes in shawarma: Beef, Pork and Felafel in either Pita or rice. Serving is enough for a single person to enjoy! Basic and Simple. 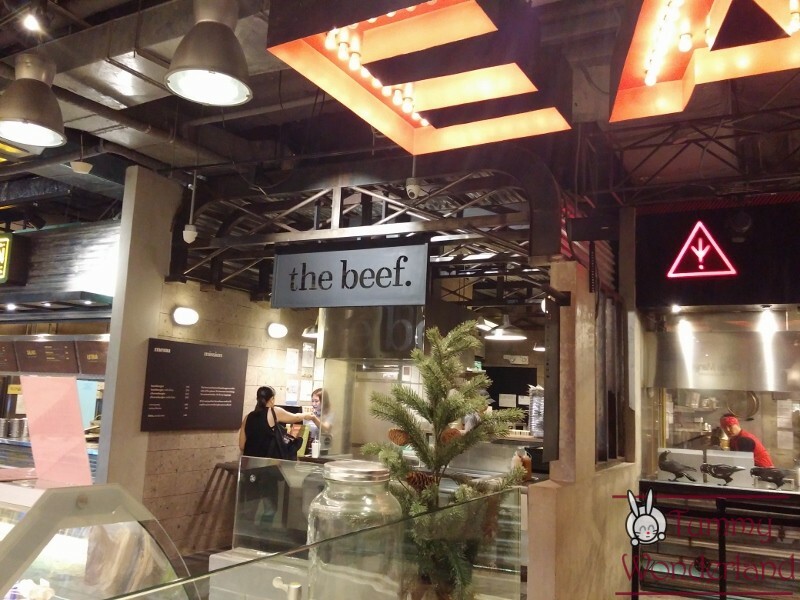 Unlike other burger joints, “The Beef” keeps its menu straight to the point. 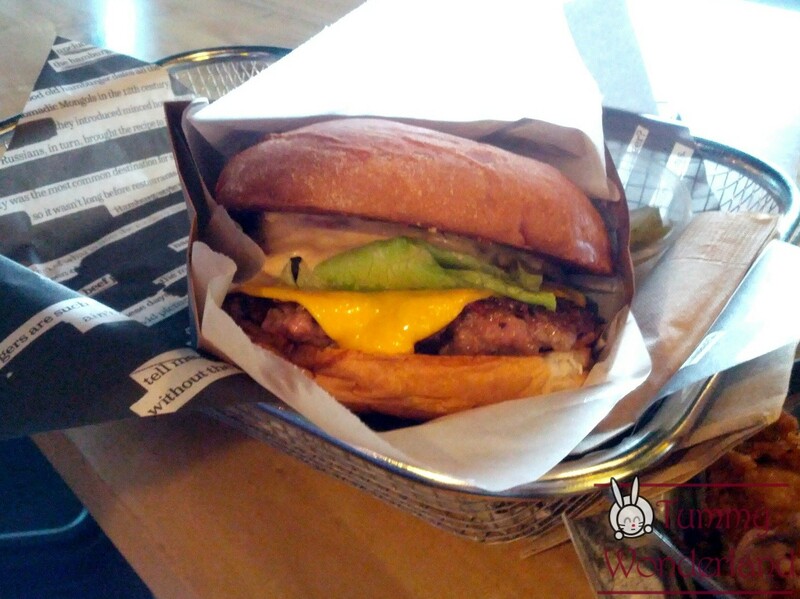 It’s all about the basics: Buns, lettuce, tomatoes, cheese and patty. Keeping the menu simple is what helps them create a masterpiece. 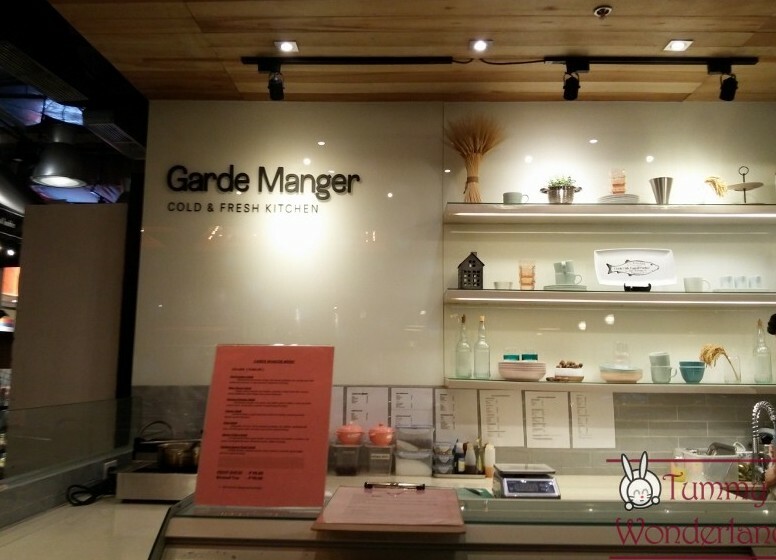 A sandwich shop that serves fine quality cured and smoked meats. 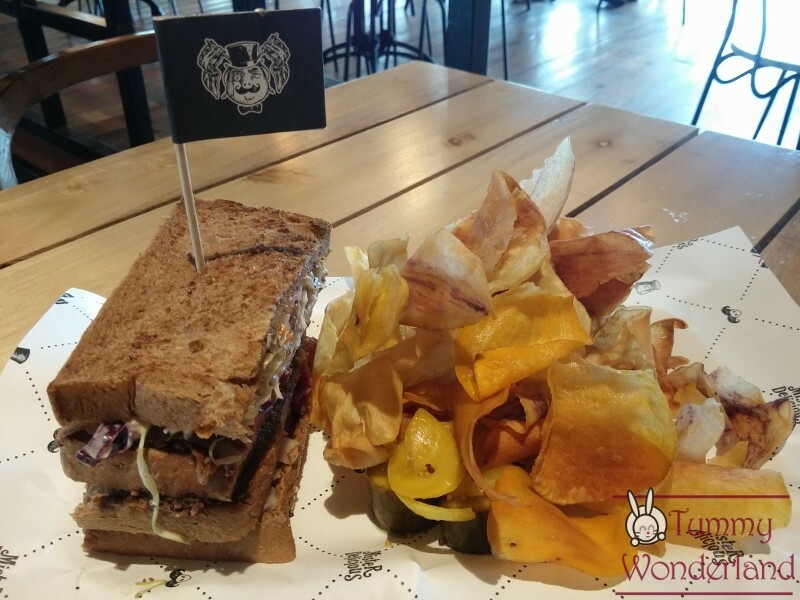 All sandwiches come with camote chips. 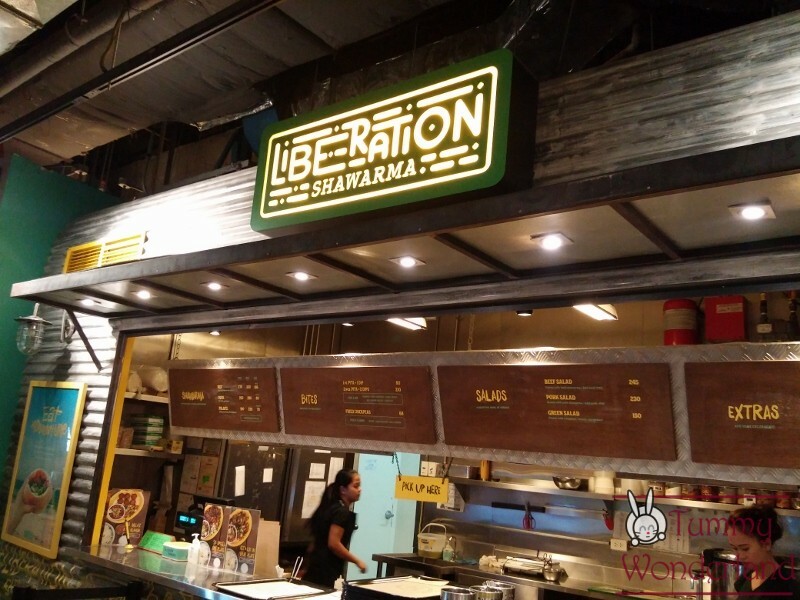 One of the most popularly ordered here is the Pastrami Reuben for Php 450+SC. 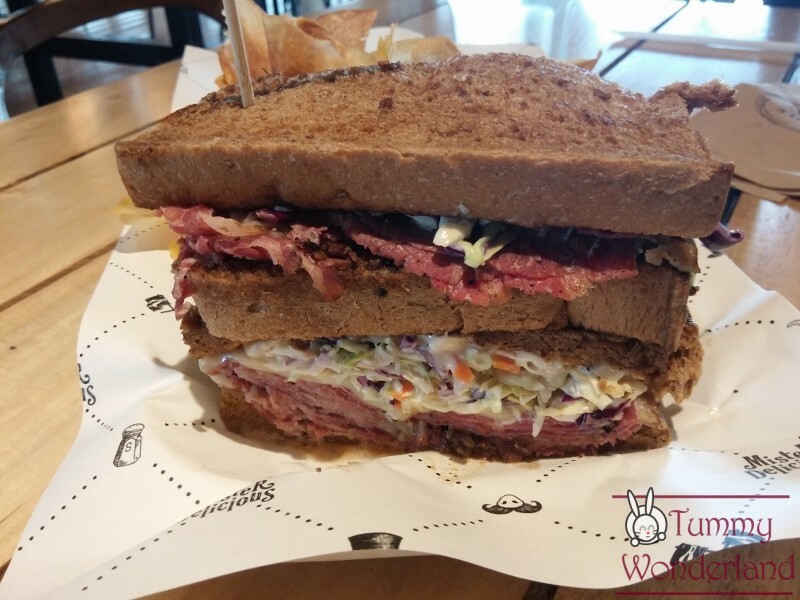 It’s packed with house-made pastrami, coleslaw, emmental cheese and Russian dressing on rye. A complete meal in a sandwich! 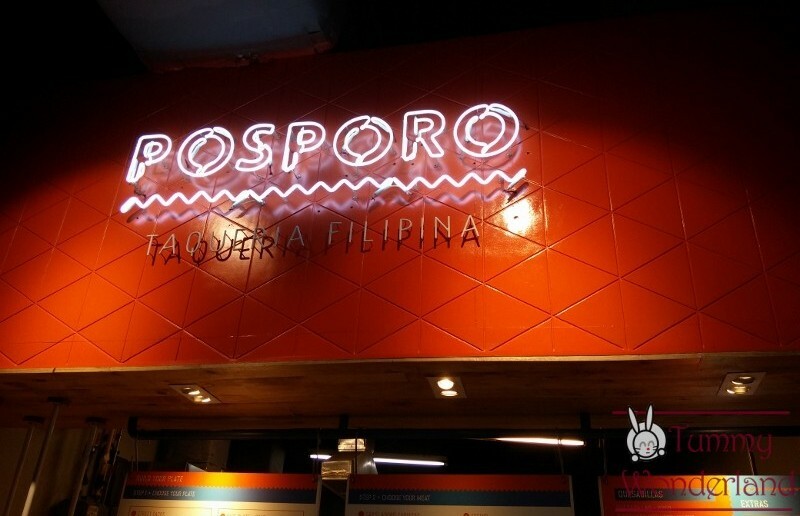 Posporo lets you create your own Fil-Mex favorites like Street Tacos, Burrito, Tostada and rice plates. 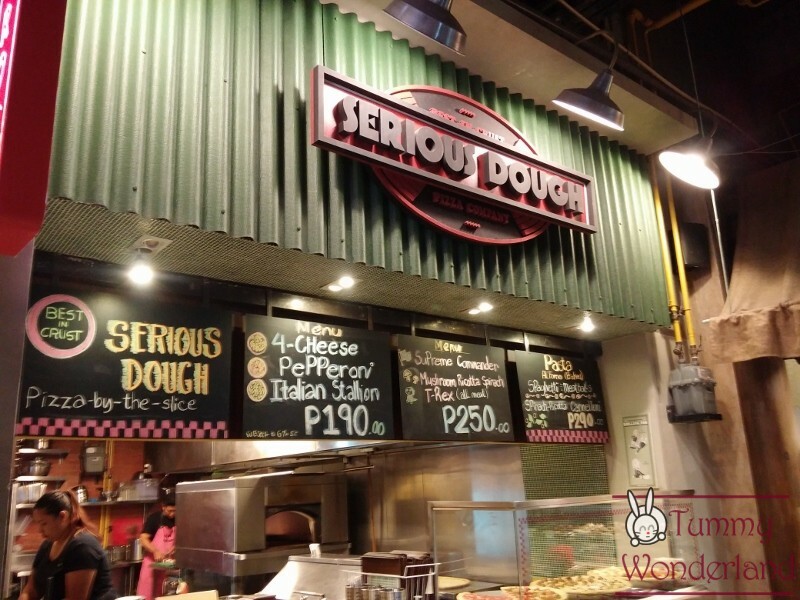 One of the highlights is their Carnitas Burrito (Php280+SC ). 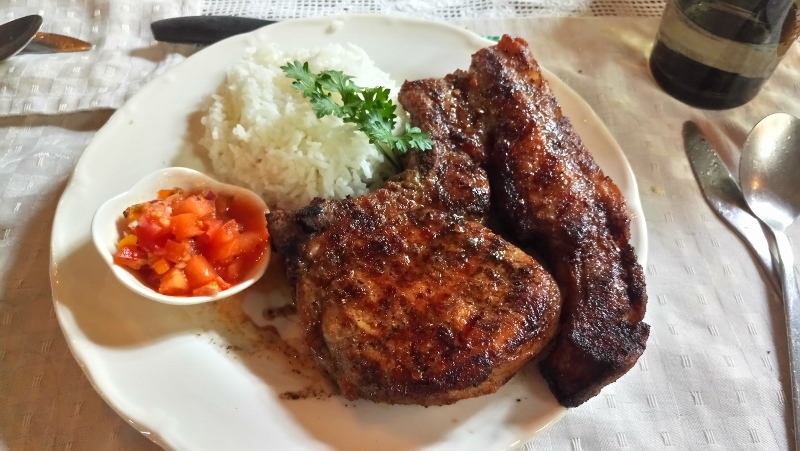 The Adobo Carnitas is slow-cooked in Sarsi root beer, cane vinegar, soy sauce, orange juice, cinnamon and garlic wrapped in a 12-inch crispy tortilla. 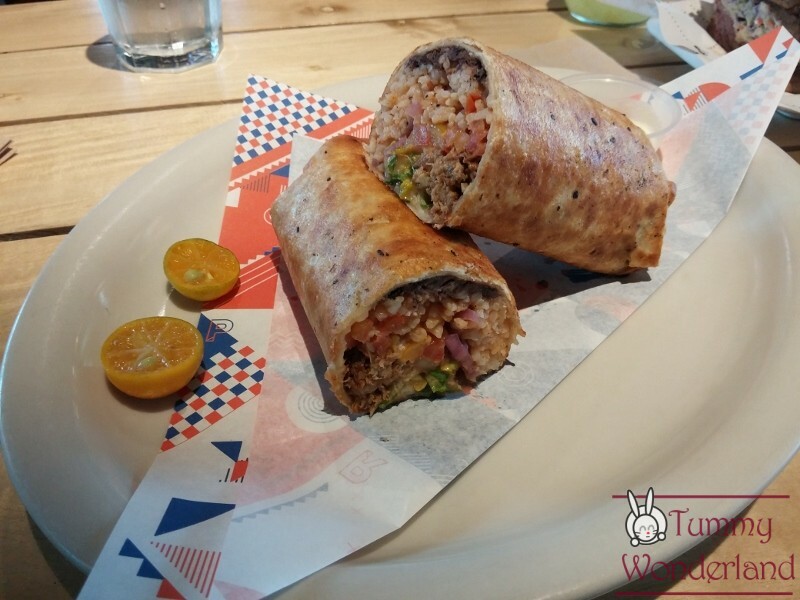 Even the non-burrito lovers will surely like it! Freshly baked cookies for dessert. 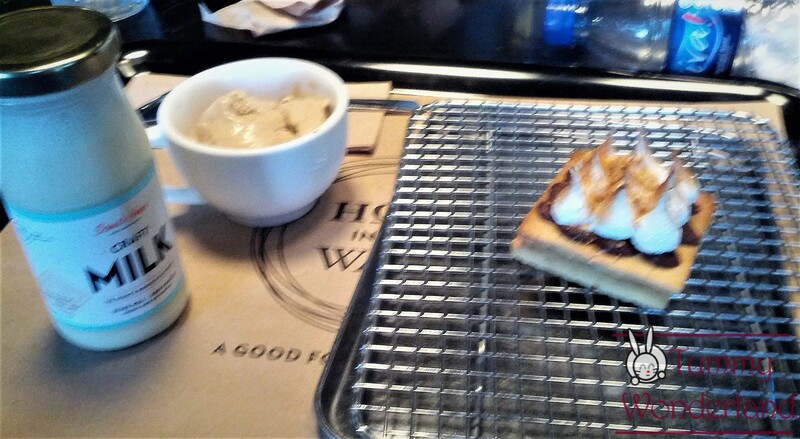 A craft your own cookie concept with flavored milk, cookies & coffee. 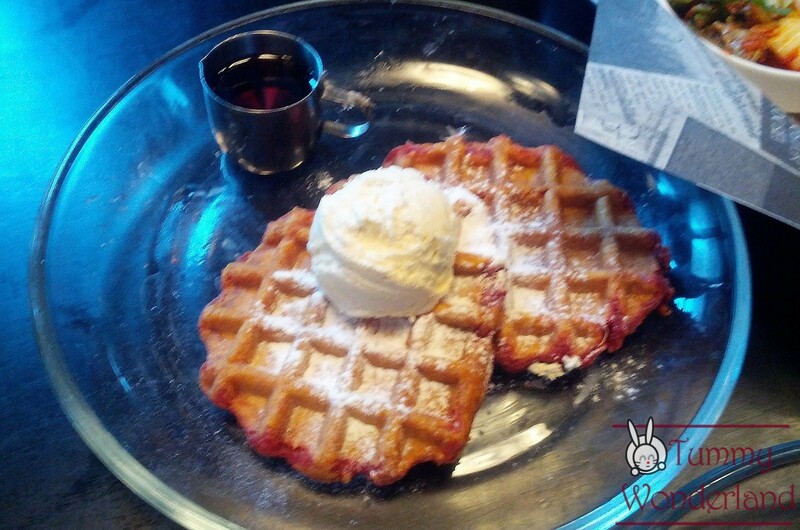 This is made for those with a sweet tooth! 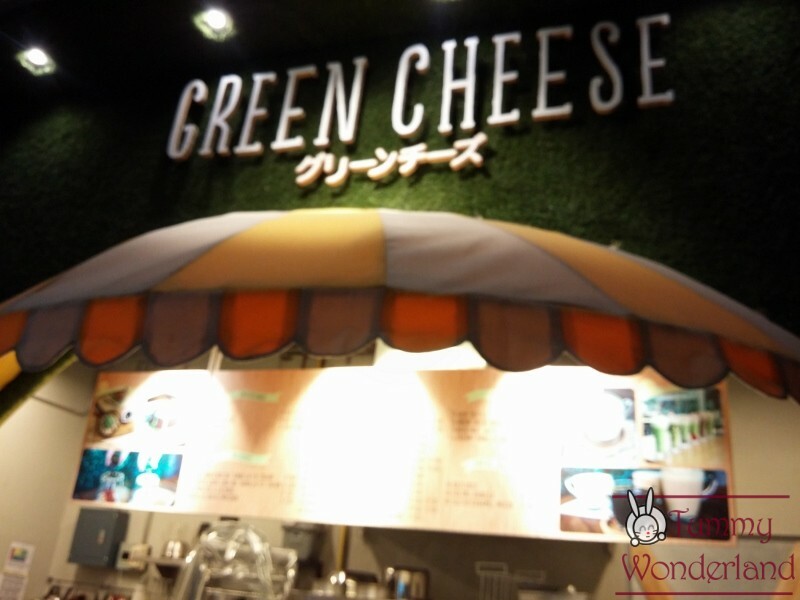 They serve cold, fresh, and easy food like salads and fruit juices. 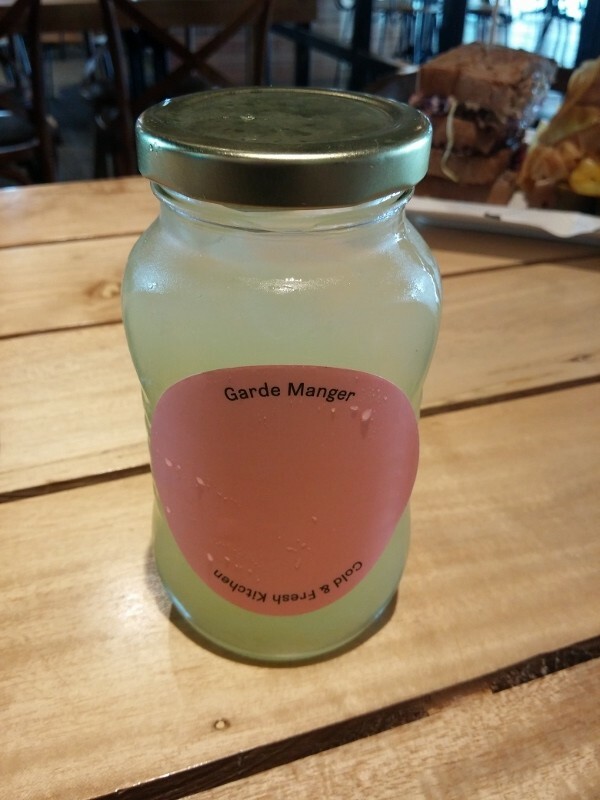 One interesting fruit juice is the Japanese Peach Lemonade for Php 90+SC. It’s a refreshing drink indeed!